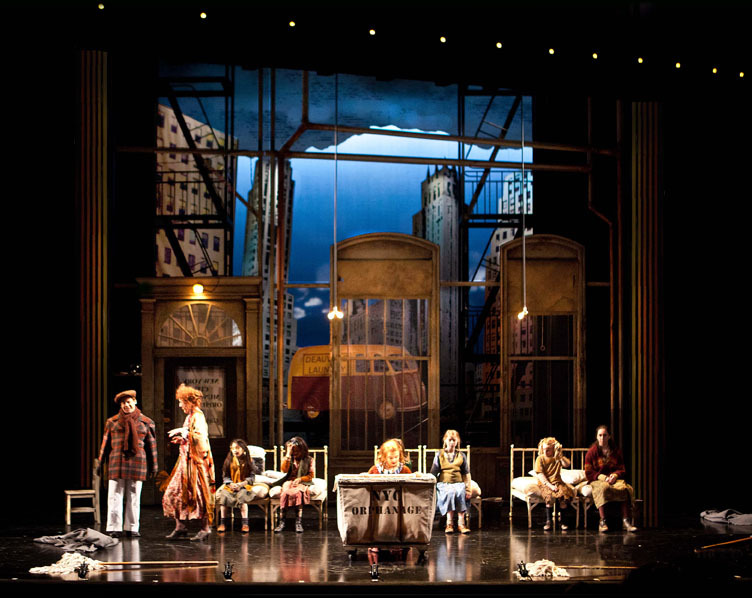 Vicki Smith has been working as a theatrical set designer for over 30 years, during which time she has designed for many of the major regional theatre companies around the United States. She has designed over 50 productions for the Tony-Award-winning Denver Center Theatre Company since 1987. She has also worked for Oregon Shakespeare Festival, Arizona Theatre Company, Children's Theatre Company, Guthrie Theatre, Cincinnati Playhouse, Penumbra Theatre Company, Indiana Repertory Theatre, Cleveland Playhouse, Kansas City Repertory Theatre, Actors Theatre Louisville, Seattle Repertory Theatre, Dallas Theatre Center, Milwaukee Repertory Theatre, Repertory Theatre of St. Louis, Geva Theatre Center, ACT (Seattle), Alley Theatre, Pittsburgh Public Theatre, Berkeley Repertory Theatre, and others. Internationally, her work has been seen at Vigszinhas, Budapest and Nemseti Szinhas, Miskolc, Hungary. She has received Bay Area Critics Awards for Kite Runner and Execution of Justice, a DramaLogue Award for Cyrano, Colorado Theatre Guild Henry Awards for Doubt, Plainsong, and Mariela in the Desert, and Denver Critics Awards for Pierre and I'm Not Rappaport. Pierre was selected for the 2007 Prague Quadrennial Design Exposition. She designed the premiere productions for Mariela in the Desert by Karen Zacarias, Inana by Michele Lowe, Plainsong and Eventide written by Eric Schmiedl after the novels by Kent Haruf, Pierre by Jeffrey Hatcher, Coming of the Hurricane by Keith Glover, A Lesson before Dying by Romulus Linney based on the novel by Ernest Gaines, Crow and Weasel by Jim Leonard based on the story by Barry Lopez, Halycon Days by Stephen Deitz, Three Hermits, a one-act opera composed by Stephen Paulus, libretto by Michael Dennis Brown, and Earth and the Great Weather, a sonic geography of the Arctic composed by John Luther Adams. Before her theatrical career, Vicki was a ceramic sculptor. Her work was seen in galleries in Seattlle, San Francisco, and Palo Alto. She became interested in set design while working on a film which featured clay animation characters in a miniature environment.